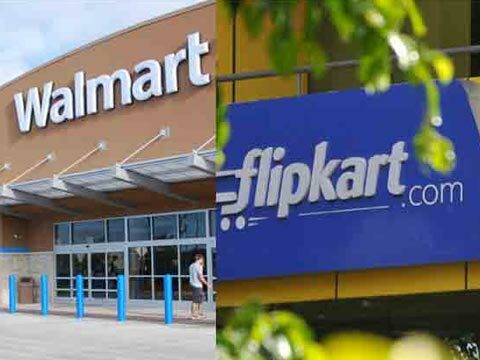 Flipkart-Walmart Merger: Who is Benefited from whom? Government push for Made in India is a big advantage for Flipkart and Walmart is using this advantage now and will cash on this for longer period. In brick world, Walmart is the father of the retail world. All retailers and retail professionals must have read the autobiography of Sam Walton, i.e., Made in America which itself talks about his learning and how he builds this Retail Empire from scratch. No wonder, everything is permanent, except Change and this new internet revolution has made Walmart think of how to align their business and keep their existing customers and acquire new customers in this new way of online shopping era. Walmart is already giving tough competition to Amazon.com in the USA as their e-commerce sales have got 44% growth in 2017 after acquiring Jet.com and it is very much evident now that this ELEPHANT is no mood to sit quietly and let others rule. In Middle East market, Amazon has already taken a lead when they acquired Souq.com in UAE which was running successfully and now with the help of Amazon, they are more into expansion mode with other parts of Middle East. So, after the USA, Walmart was eyeing India which is still one of the best promising markets in the world and they started their brick journey in 2007 with a tie-up with Bharti and then this venture got over in 2013 and from there, Walmart is on its own in India. It is the same year when Flipkart started their operations in India (October 2007) from Bangalore with tablets, USB flash drives, and laptop bags. In this 11 years, things in India got changed drastically under the new government and now India is aiming to become a trillion dollar digital economy very soon. As per data, only 3% of the retail spend was happening ONLINE in India in 2017 and by 2025, it will be 10% which is a big jump and all big eCommerce players in India will try to get their own pie form it. Seeing all the above, anyone will be interested to be a part of this digital revolution in India and Walmart is no longer a new company to India. After assessing these numbers and analysing big eCommerce players in India, they have pitched Flipkart only to enter India ONLINE as they can't go to their rival, Amazon. Presently, Flipkart is either number one or two in sales (exact figures do not know as clash is there in categories too) in comparison with Amazon but overall, it's a homemade or homegrown brand for India. Government push for Made in India is a big advantage for Flipkart and Walmart is using this advantage now and will cash on this for a longer period. This merger will bring two biggies (offline and online) under one umbrella and both of them will help each other in their weak areas to tap the complete Indian market. Presently, Flipkart is more into white goods and planning to enter daily needs, groceries etc. where Walmart has got the expertise and will help them. Walmart will get ready to roar or almost proved and running eCommerce player in the form of Flipkart in India. While going offline too in coming days, Walmart will play a major role in setting up offline stores for Flipkart and when Walmart will do this part, you bet, the store will be the best in all aspects. Going forward in India, the big fight will be only between Amazon and Flipkart (can be termed as Flipwalkart) and the third will be Alibaba backed Paytm and if offline (Walmart) and online (Flipkart) gets together, then no one can stop them. After this merger, both these partners will look out for offline presence too on priority and if any big players are up for SALE, will take them immediately and bring omnichannel platform in India which is at very nascent stage.